Firstly, congratulations to those who have been recognised by The Michelin Guide including George Blogg, Matt Worswick and Lisa Allen for maintaining their stars and also to the new one stars awarded to Tim Allen and Paul Foster. Our lives have revolved around Le Champignon Sauvage since we opened over 31 years ago, and whilst we are hugely disappointed at loosing a Michelin star, we ultimately cook for ourselves and our guests. 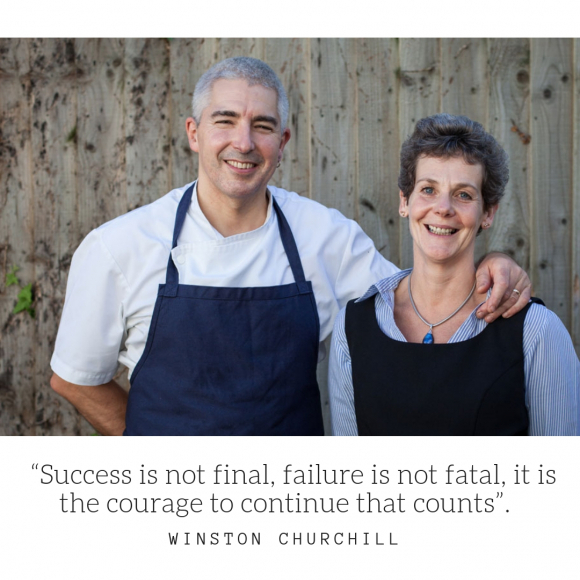 Our bookings have always been very healthy and repeat business consistently high, and so it is to our loyal customers, friends, chefs and industry colleagues that we extend a very heartfelt thanks for their loyal and continued support.